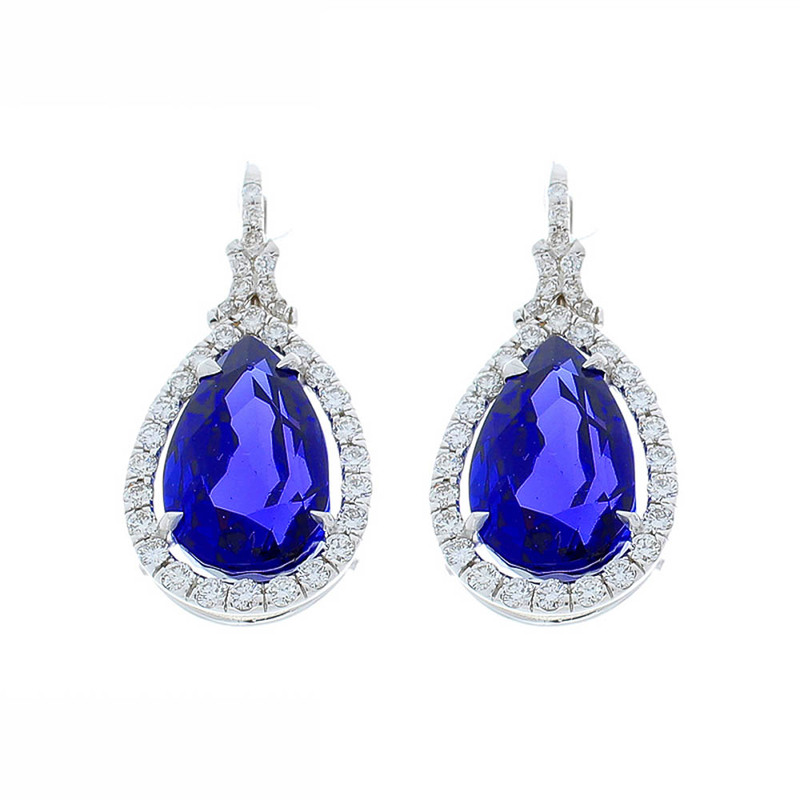 The illuminating 17.68 carat total, pear cut tanzanite gemstones are captivating! The gem is sourced from Tanzania, near the foothills of Mt. Kilimanjaro. The color is vivid blue-violet. It's saturated and evenly distributed through the gem. Its luster is excellent, its clarity is high. These perfectly matched gems resemble fine sapphires. Its the most desired color for Tanzanite. The beauty of the gemstones are further enhanced by dazzling round brilliant diamonds set in an elegant halo. Delicate diamonds details bring the total weight to 1.36 carat. These glamorous earrings are skillfully crafted of sleek 18 Karat white gold.